Cheap Cheap: Free Ice Cream and 50 cent Iced Coffee Tuesday, 4/21!!! 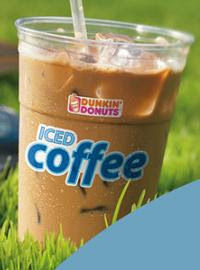 Free Ice Cream and 50 cent Iced Coffee Tuesday, 4/21!!! Ben and Jerry's is giving away free cones!! Go HERE for details and to find a location near you! 50 cent Iced Coffee and Dunkin' Donuts. See HERE for details and HERE for a location near you! !